Raise your hand if you chased down the Santa Train last night on your way to the grocery store. Oh, that was just me? Okay. I didn’t see it again and my straight-shot drive to Mariano’s became far detoured but it was really fun. 364 days of the year, the El makes me want to bathe in anti-disinfectant but on the day it’s the Santa Train…all aboard, Christmas people. 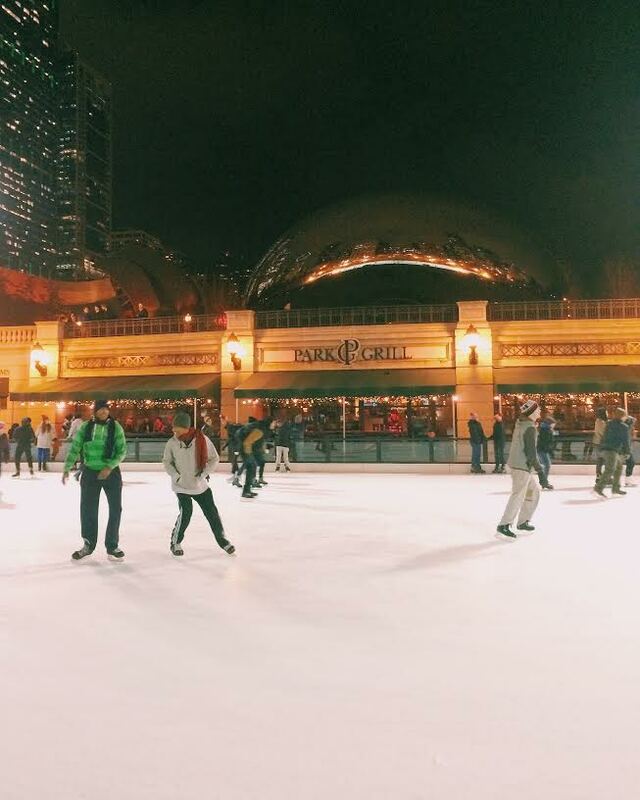 To make good on the one Christmas Bucket List item that seems to always go undone every year, I planned an outing last night for my work team that included ice skating at Millennium Park. I cannot, cannot, cannot believe I have never been! It felt so great to be outside, the lights of the city and twinkling from the trees bounced off the Bean so beautifully and it was a blast. It was a great team building activity and as I did a few solo spins around the rink to take it all in, I couldn’t help but think that I was in the middle of a new favorite holiday memory. 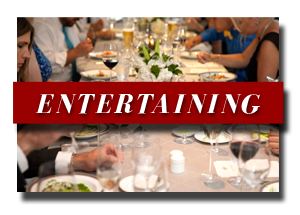 I guess you should never underestimate the power of a little good, simple fun, right? The holiday season is here and I don’t beat around the bush in claiming that Chicago is the best city in the world to enjoy the holidays. It is just a fact. But if there is anything negative about all of the holiday awesome in our fair city it is that there is so much- how do you possibly know what is happening and when and make plans to do it?!? That’s what I am here for. 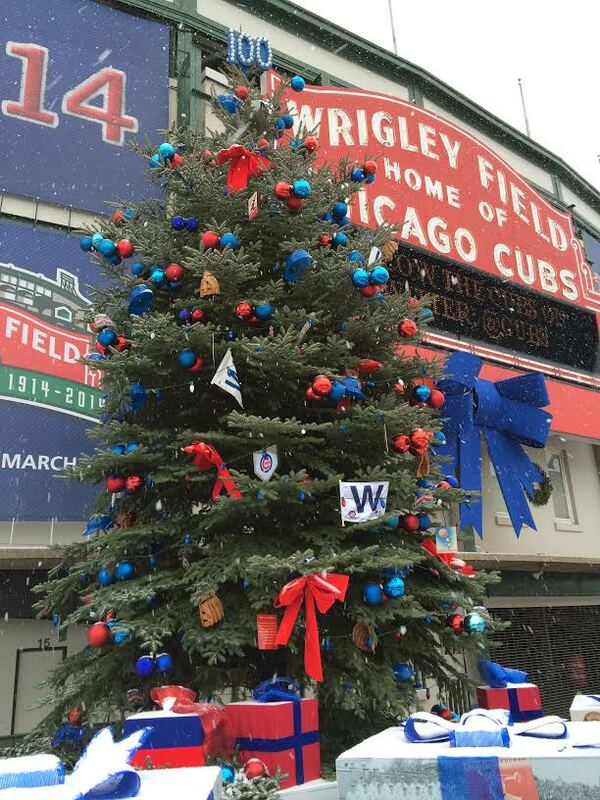 Below you will find links, dates and details for all sorts of fun Chicago Christmas goodness. Mark your calendars, friends! Christkindlmart: November 21-December 24 Sunday-Thursday 11am-8pm, Friday-Saturday 11-9pm; this German open-air market is open in the Daley Plaza to satisfy your craving for mulled wine in little boots, ornament shopping and wiener-schnitzel. Wreathing of the Lions: November 28th at 10am the beloved Lions at the Art Institute get their traditional evergreen wreaths and following the ceremony, families are invited inside the Ryan Center to create their own wreaths, totally free. BrewLights: December 3rd from 5:30-9pm- $40 will get you a dozen holiday beer samples that you can use to keep warm while checking out the Lights. Southport Holiday Stroll: December 5th from 5-9pm; free cocktails, shopping, sales, more free cocktails, a sleigh that acts like a bus to transport you up and down Southport (for free! ), Victorian carolers and Santa & Mrs. Clause. Such a quaint experience for such a big city. Ice Skating at The Peninsula: The “Sky Rink” opened last Saturday and sits 4 stories above Christmas-ready Michigan Avenue. Combine that with spice wine and you’ve got my kind of outdoorsy activity. Open Monday through Friday 3-8pm, Saturday 12-9pm and Sunday 12-6pm. 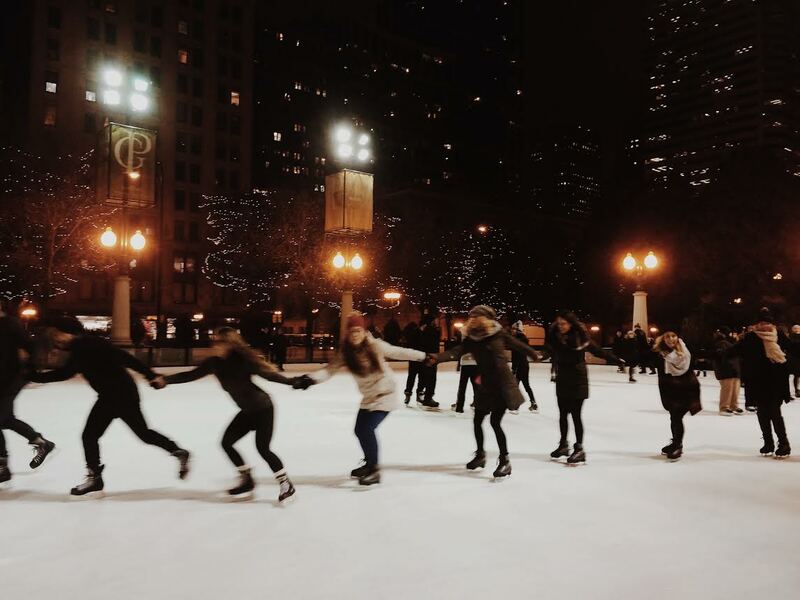 Caroling at Cloudgate: Fridays at 6pm starting on November 28th until December 19th, choirs will lead a community singalong in front of the Bean. Mark this down as the most festive thing you could possibly do. I sang my heart out last year. 30th Annual Music Box Theatre Christmas: December 13-24th, The Music Box Theatre does showings of It’s A Wonderful Life and White Christmas. Sometimes Santa shows up and there’s a group singalong. Gosh, I love a singalong. Kris Kringle’s Kandy Kane Ball: Festive cocktails for a cause at Joe’s on Weed on December 13th from 9pm-12am. 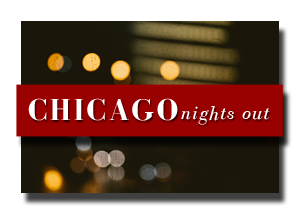 Proceeds benefit Chicago Children’s Charities and don’t forget to bring a toy to donate at the door! Claymas Christmas: December 21 at 9:30pm- Holiday improv. These guys are hilarious. 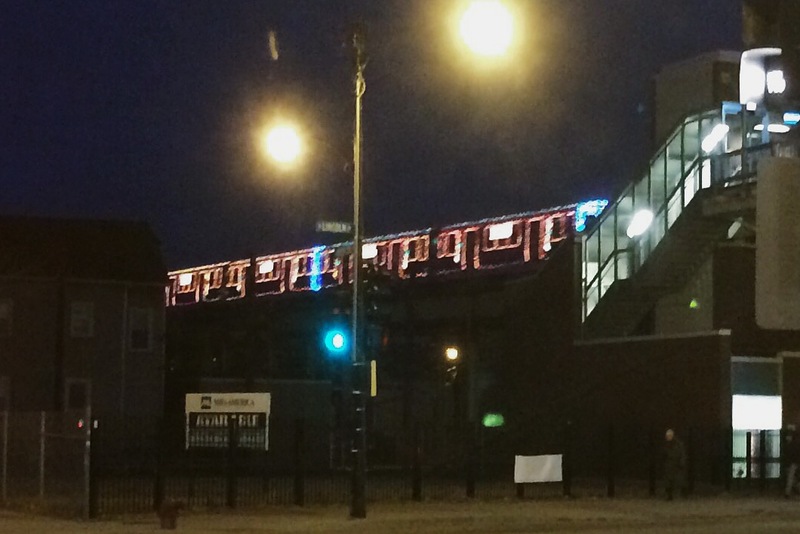 CTA Santa Train: November 28- December 23- check the schedule for when this hub of Christmas cheer is on your tracks. It smells like cinnamon, Santa and the reindeer are on a flatbed and the inside is covered in decorative holiday awesome. So, basically, the only time during the year when you actually want to get on the El. Joffrey Ballet’s “The Nutcracker”: December 5-28; Joffrey is one of the best ballet companies in the world and to see them do The Nutcracker is so special. Something that must be added to the Labor Day weekend post…The J.Parker. I met a girlfriend for drinks there last night and was greeted by this view of the sunset. It was breathtaking and felt like the absolute best place to enjoy such a stunning evening. Our conversation was punctuated with “Can you believe this sky? !”, “What a gorgeous evening!” and “The moon! Look at the moon!”. Summer nights like last night are like unicorns- you can hardly believe it’s real and all you want is to figure out how to capture it, replicate it. Hope you’re having a fantastic weekend and are squeezing out every last drop of summer. I struggle with Labor Day weekend. I want to soak in every last drop of summer but if we’re being honest, I am also ready for college football, chili and leather boots. In the spirit of not denying ourselves our respective college season openers and making the most of summer specific activities, here’s a list of both to help make planning for the long weekend less of a challenge. 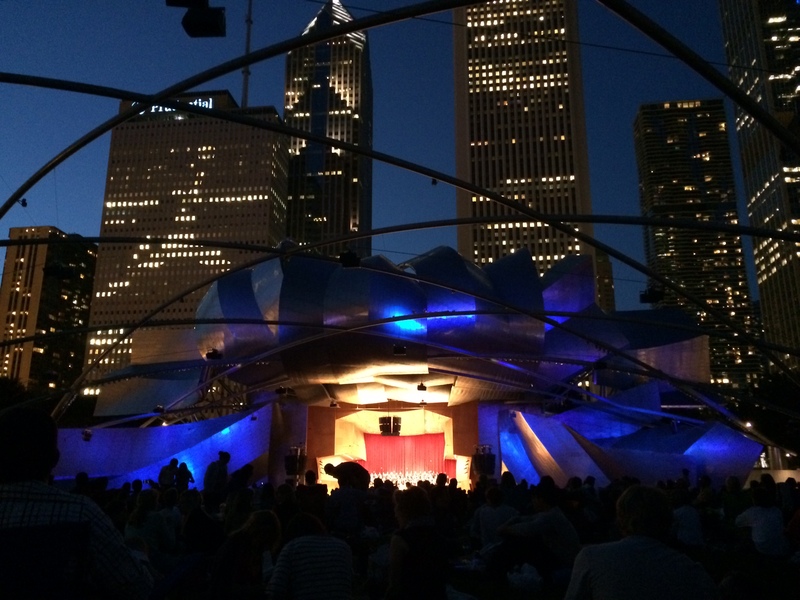 Chicago Jazz Fest: Pack a picnic and head to Millennium Park for jazz with a side of skyline. Here are four bands you have to see. Headquarters River North: This Lakeview favorite brings their huge craft beer selection and arcade games to River North. Opens today and in case beer and pinball isn’t enough for you, this location is going to have food. 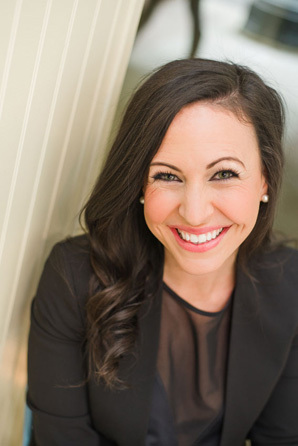 Magnificent Mile Women’s Half Marathon & 5k: Ladies, if you’ve been hitting the pavement all summer, do a victory lap by running the first ever race to hit the Mag Mile. Registration for both the half and 5k looks like it’s still open. Critical Mass Ride: A few weeks ago, we were test riding bikes and I fell off mine at a stop sign and yelled “I DON’T WANT TO RIDE BIKES!” as I got up so this is a suggestion for you, not me. But if you are a biker of the pedal-y sort, head to Daley Plaza on Friday at 5:30 for this free ride through the city’s streets with a few thousand of your biker friends. Fireworks Cruise: Water. Skyline. Fireworks. Enough said. 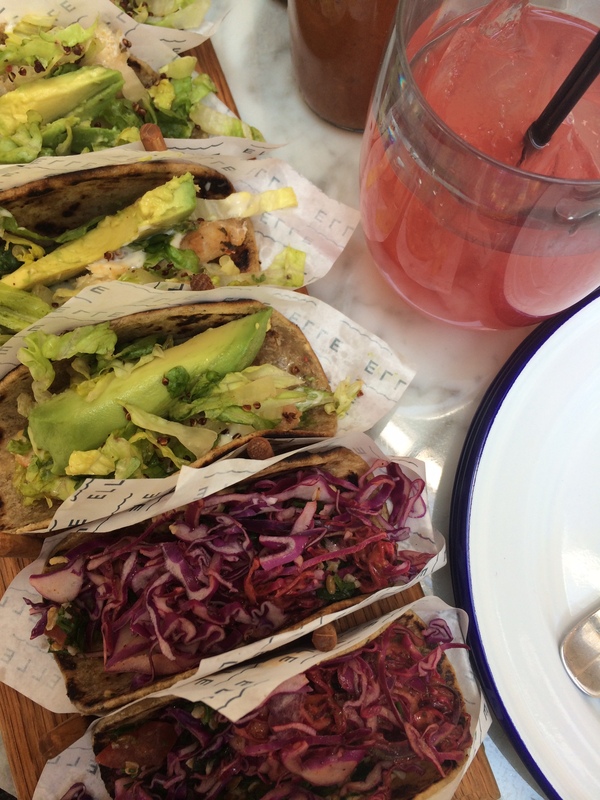 Elle on the River: one last shot at tacos and punch al fresco. This has been one of my favorite spots this summer and the only thing better than their fish taco on chickpea flatbread is the views of the river. Yes, the actual holiday is still 5 days away but in Chicago, we do St. Paddy’s Day up big on the Saturday before. 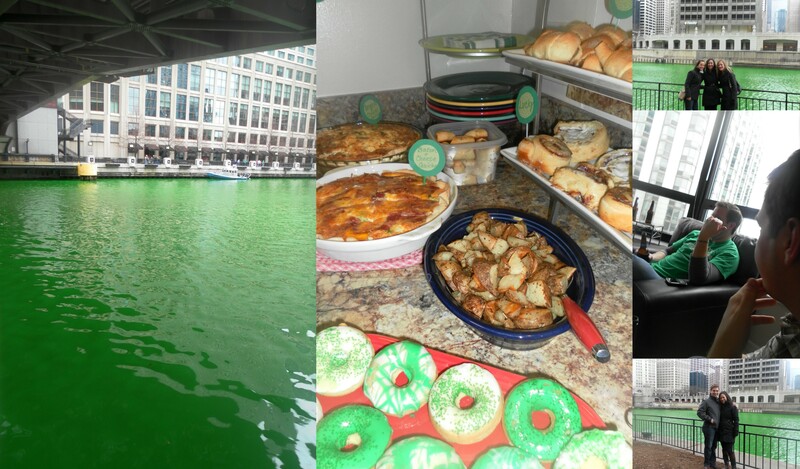 There’s a parade, annual dyeing of the river and the entire day is dedicated to all sorts of Irish-themed shenanigans. First up: brunch at our apartment. Temps are still in the 30s so Ryan and I figured the best plan was to host a morning of good food, adult beverages and watch out the window for the river to turn green before braving the elements. Mission accomplished! Our nearest and dearest came over to nosh on quiche, apple turnovers, cinnamon buns, homemade donuts (thanks, Erin!) and hash browns, washed down with mimosas and Guinness (naturally). Second on the agenda: head down to see some green! The green in this picture does not do it justice. 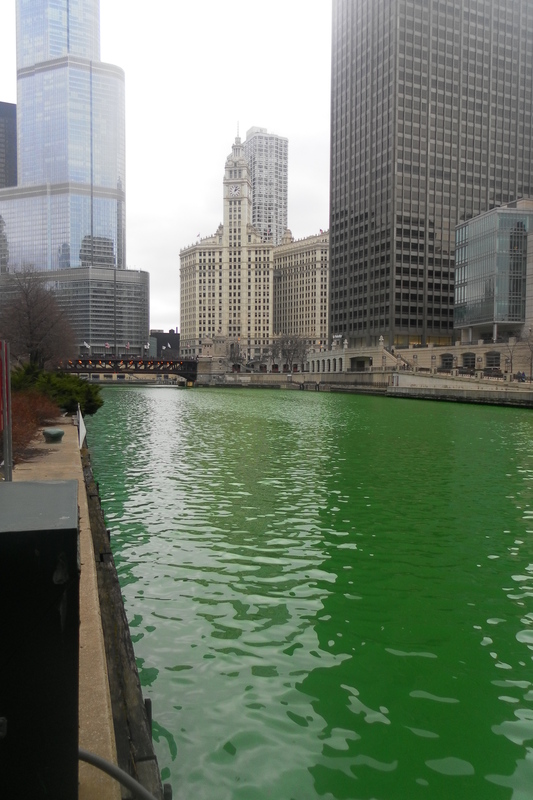 The river is BRIGHT green. Anti-freeze green. Wicked Witch of the West green. The greenest green there ever was, people. 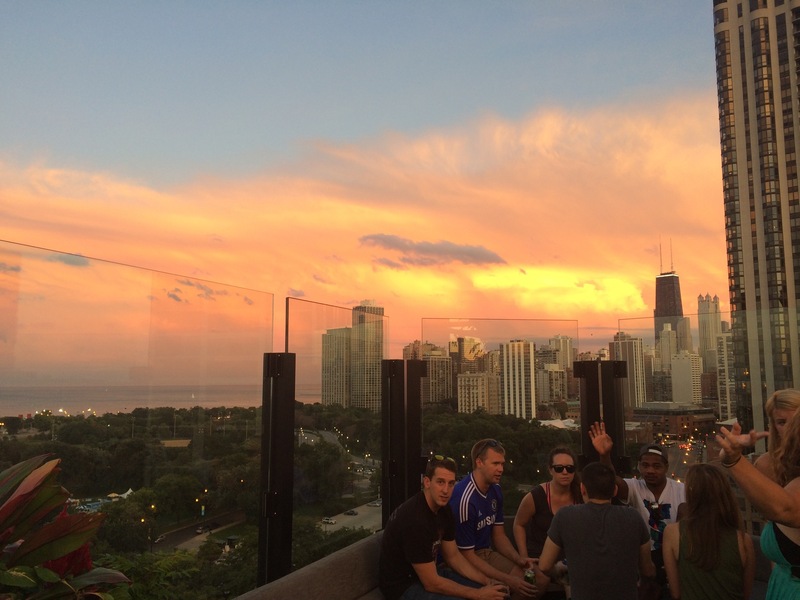 After some ooo’ing and ahhh’ing, our crew carried on to a bar in River North. Lots of green beer, girls in ridiculous costumes (ladies with the drums, tambourines AND whistles, I’m talkin’ ’bout you), and more Charlie Sheen t-shirts than I could count. People watching at its finest. Or worst, possibly. 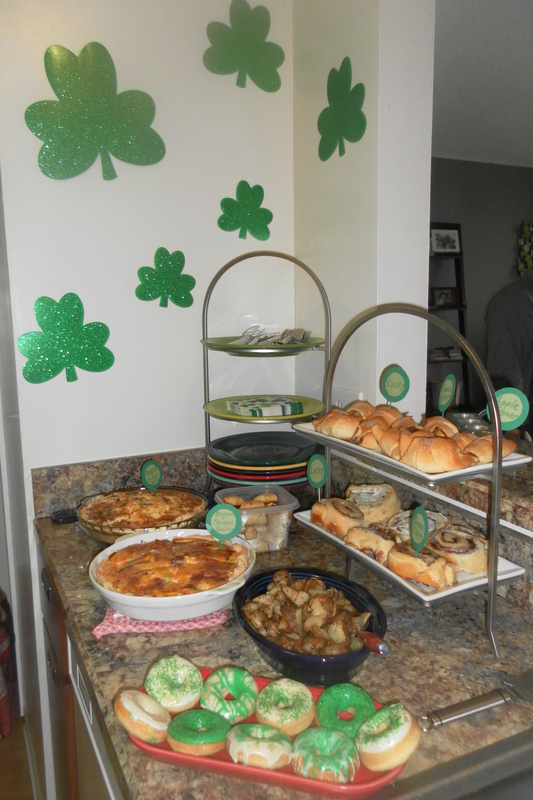 All in all, a highly successful St. Paddy’s Saturday! That’s one of the things I love most about my city. We are a scrappy bunch. 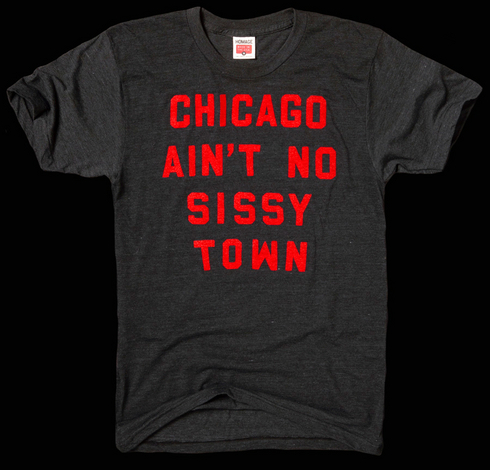 & we are fine with you calling us the second city, because really….we know better. 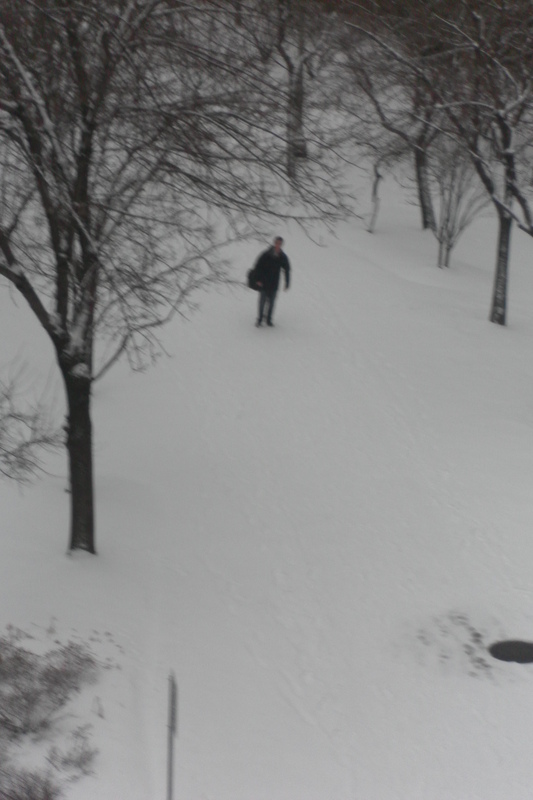 It is cold as hell here, but Chicagoans aren’t afraid to dress for the weather…. Let’s just say, trapper hats are not a passing trend in this city. Because of the amount of time spent in winter gear, the folks here have to have a personality. 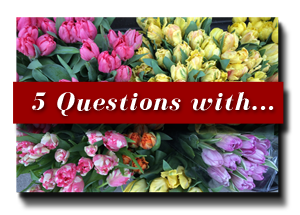 because it is really hard to play the “i’m hot” card when buried under layers of puff coats and ski-masks. And come summer. All bets are off. We see Vince Vaughn & John Cusak at the corner pub with a degree of regularity, but it never causes much of a stir. We have pretty jacked traffic. who wouldn’t want to spend their days[/nights] exploring this city? but it is a town with a whole lotta heart. Mad Love for Home Sweet Home Chicago. Couldn’t have said it better myself. I have mad love for those who have mad love for the Windy City. Oh and I must. Get. That. T-shirt. 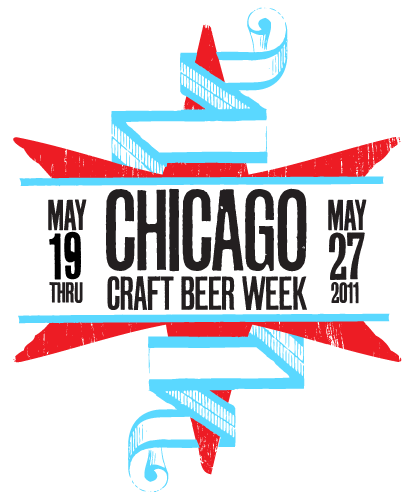 Looks like April showers will be bringing May flowers AND Chi Beer Week! Outstanding. I glanced at my Blackberry an hour ago to find an email informing me that there were only 5,000 spots left for the 2011 Chicago Marathon. Last year, it sold out at the beginning of April. It’s not even March yet! I’ve been dragging my feet, playing the “Oh, I’ll sign up next week” game since registration opened on February 1st but when I got that email that it was filling up fast, my reaction was to grab my credit card even faster. No WAY was I going to miss out on the Marathon. 10-10-10 was too amazing of a day, of an experience to not want to be a part of again. So, it’s official- I am signed up for the 2011 Chicago Marathon!!! Update: Just got an email from Ryan- he’s signed up too! Looks like the threat of missing out on 26.2 miles of blood, sweat and tears, glory was enough to get both of us in action! Yesterday was the day February 2011 won the prize for most inches of snowfall on record, beating out 1896 by 3 inches. The dusting we got overnight made everything white again so even if more snow was not on my high list of wishes, it did make the city look very pretty. When I called Ryan on my way home from work, he was only a few blocks ahead and offered to wait for me to catch up so we could walk home together. What a doll. I snapped this picture from the Columbus Street bridge. What I love about it is that is doesn’t look like we’re in a city; it looks like we were in the middle of the woods, entirely alone. But right next to that white path is a river and tall buildings and a busy highway. I think that might be my favorite thing about Chicago- so many quiet moments in the middle of the hustle and bustle.